When a hockey team has beaten you several times in the past, how do you respond? Do you approach the next game with fear and apprehension or are you able to maintain your confidence and embrace the challenge? You play ‘tight” and anxious throughout the game… Even the style of your game changes and you play not to lose. 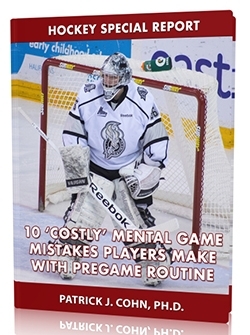 Your anxious play causes you to make some mistakes… You don’t go for loose pucks aggressively and make some ill-advised passes. You lose the game… just as you expected. Establishing a new legacy requires letting go of the past. History is just that… history. It’s in the past. Just because you lost to a team in the past doesn’t mean it will repeat in the present, unless you let it! The key is to focus on the present game and play to your team’s strengths. The fear of mistakes will cause you to play hesitantly. A mistake may happen but you can’t let it change your style of play. Continue to play your brand of hockey, focus on your current shift and dictate the flow of the game. The Los Angeles Kings, who are facing the Chicago Blackhawks in the Western Conference Finals, refuse to allow history to become their present reality. The Blackhawks are defending Stanley Cup Champions who ousted the Kings in the 2013 Conference Finals four games to one. In Game 2 of their 2014 series, the Kings were playing in Chicago and were 0-7 all-time in playoff games in Chicago. Early in the second period, the Blackhawks took a 2-0 lead. How did the Kings respond? By scoring six unanswered goals and handing the Blackhawks their first home loss in the playoffs. 1. Focus on your game plan and play in the present moment. 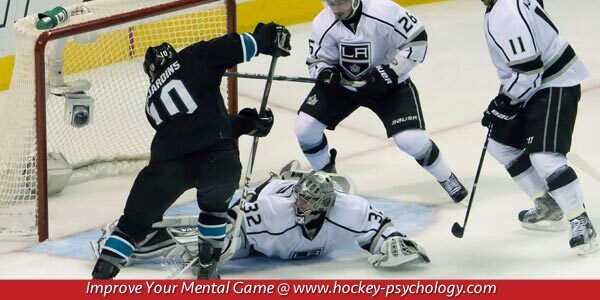 Kings captain Dustin Brown stated the Kings focused on their game and not the past. 2. You want to develop the mindset of never giving up or giving in to the past. Kings Drew Doughty said the key to success was the team’s positive attitude. Kings center Jarret Stoll revealed his team’s playoff mindset.